Nested on the south-eastern Balkan Peninsula, on the crossroads from East to West, Bulgaria has always been a place of continuous cultural exchange and a home to some of the most ancient peoples that inhabited Europe. This is the land of Spartacus and Orpheus, a land invaded and conquered by Romans, Byzantines and Turks - masterpieces of world significance and treasures from its remote past, as well as centuries old traditions and rituals will impress you and broaden your knowledge of this historically rich country. To say that this area is spectacularly beautiful, would simply not be good enough. There are lush meadows in the valleys and bursting out, above this abundant display of nature's wealth, are the tall, craggy and majestic Pirin Mountains. The town of Bansko itself dates back hundreds of years and the old buildings are an architectural delight with their carved ceilings and murals from the Bulgarian Renaissance period. For those who want to experience authentic Bulgaria, there is good range of excursions and activities that will meet your expectations. 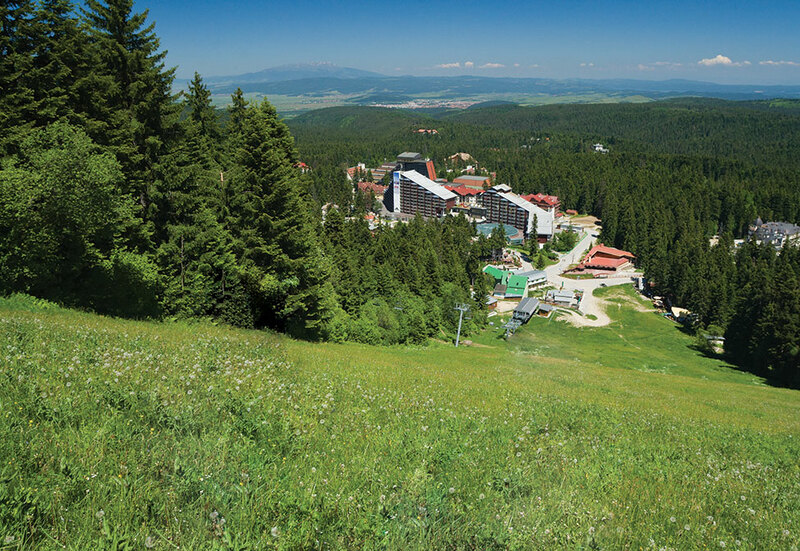 Originally established at the end of the 19th century as a hunting ground for the Bulgarian Kings, Borovets is an all-round resort consisting of modern hotels and chalets, surrounded by beautifully smelling forests of spruce and pine. Located at the foot of the highest mountain on the Balkan peninsula Rila, the resort of Borovets is popular choice for walkers, hikers and outdoor enthusiasts. 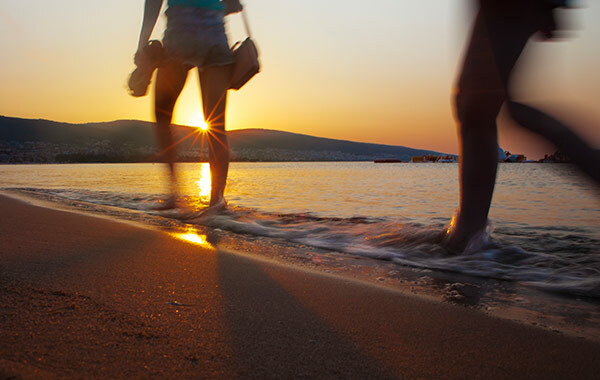 You'll find a programme of optional excursions, picnics and walks on offer to help you make the most of your holiday. Characterised by diverse terrain shapes, soaring mountain scenery, sun-drenched towns & villages and hospitality that has remained unchanged for centuries, Bulgaria has it all! Along with the deep, dense forests and breathtaking mountain ranges that dominate its landscape, Bulgaria offers contrast after contrast, from rich cultural heritage sites to the purpose-built resorts. Choose a holiday to Bulgaria's mountain resorts and enjoy fresh mountain air, peaceful surroundings, stunning scenery and warm, open and friendly people. Both traditional Bansko at the foot of the Pirin Mountains and peaceful Borovets in the Rila Mountain range, are great destinations for a great Lakes and Mountains holiday thanks to the numerous mountain walks on offer. 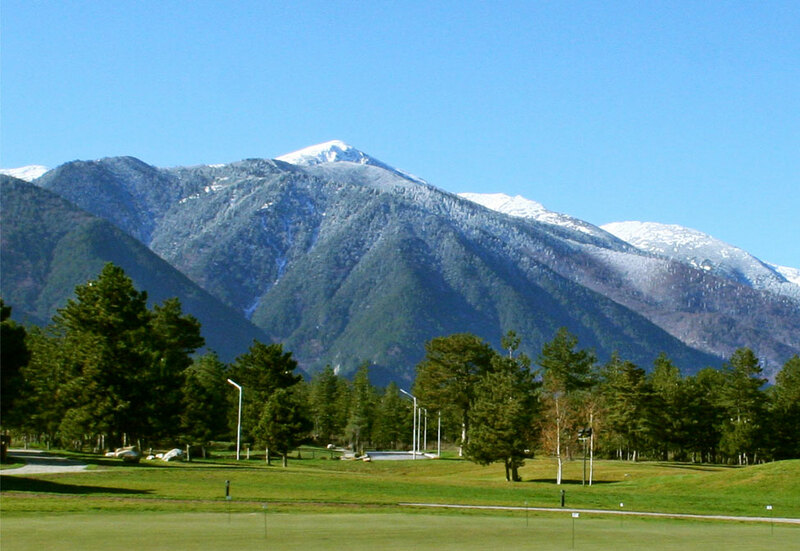 For the more energetic Bansko offers additional outdoor activities such as mountain biking tours, climbing and fishing. Whatever holiday you're seeking - relaxing in resort, throwing yourself into an adventure-packed break, exploring traditional timeless villages and forested mountains or enjoying the precious gift of natural mineral springs - Bulgaria is sure to deliver. Bulgaria's towering mountains, deep valleys and abundant flora and fauna make it a nature-lovers' paradise, with fabulous opportunities for hiking sightseeing and bird-watching or simply relaxing. Studded with mountain villages, medieval monasteries, fragrant rose fields and plunging waterfalls, the hinterland presents explorers with a myriad of sights and experiences. Bulgaria is renowned for its long, tumultuous history and rich cultural heritage, which is displayed in numerous seasonal festivals, ritual folk dances and brightly coloured, decorative national costumes. Throughout the summer, regular cultural and folklore festivals are held in different parts of the country. During your stay in the resorts, you will be able to experience more of this yourself with a range of excursions which are available locally. Walking in Bulgaria is centred on two imposing mountain ranges - the mighty Rila boats highest peaks in south-eastern Europe, while equally dramatic Pirin range stretches all the way to Greece. Despite the fact that these mountains are lesser known to a British rambler, there is an amazing cob-web of paths in each resort providing everything that a keen walker would wish for - excellent trekking routes, accessible summits with alluring lakes, magnificent views stretching for miles and traditional villages with welcoming people. Make the most use of chairlifts which operate in both resorts (high season only) and experience what Bulgaria mountains can offer! • Shopska salad (diced tomatoes, cucumbers, peppers and parsley topped with grated white cheese). • Tarator (a cold soup of chopped cucumber, walnuts and yogurt) perfect on a hot summer's day. • Bulgarian white cheese baked with eggs and tomatoes is another favorite. Other traditional dishes you should consider during your holidays to Bulgaria include kebapche (minced meat rolled into a sausage and grilled), kavarma (individual casseroles of pork or veal, onions and mushrooms), shishkebab, stuffed vine or cabbage leaves, and moussaka. Yogurt too, tastes better in Bulgaria - its country of origin. Bulgaria is home to some excellent locally produced wines and spirits, and nothing can beat a cold Bulgarian beer while relaxing around the pool or in one of the many friendly bars and restaurants. Eating out in Bulgaria is very popular and affordable. It is widely known that food and drink is a lot cheaper than many other holiday resorts across Europe. Just another example of what great value for money our holidays to Bulgaria can be. Bulgaria is great place for cheap designer clothes, CDs and handbags. Traditional handicrafts such as handmade pottery, jewellery, lace and knitwear can be found in local markets and shops. A bigger diversity and selection may be available in large cities and towns where new, air-conditioned shopping centres and malls have been built in recent years offering everything from locally produced goods to famous international brands. The monetary unit in Bulgaria is the Lev. There are approx. 2.75 Levs to £1.00 (at Sep 2015). Foreign currency can be exchanged at the airports, banks, exchange bureaux, post offices and hotels. Cash machines are available in all resorts and the more important tourist areas. Bulgaria is a country of mountains sharing the same latitude as South of France, enjoying hot summers and average temperature of 27°C with pleasantly cool evenings. Proximity of Greece brings hot air that mixed with fresh mountain air can create an occasional thunderstorm. 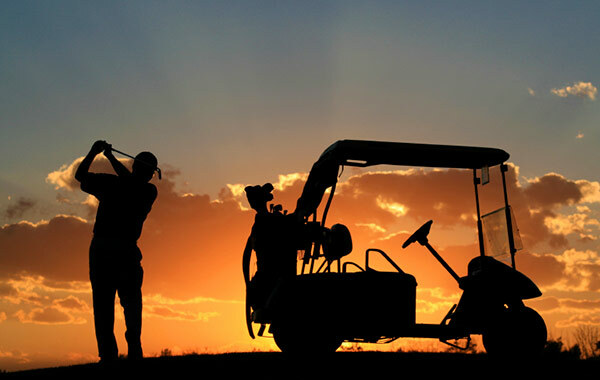 * Free coach transfers for summer package holidays from the airport to the resort and back. Excludes Lakes and Mountains and Gofing holidays in Bulgaria, Croatia , Istria area holidays and Summer Short Breaks. 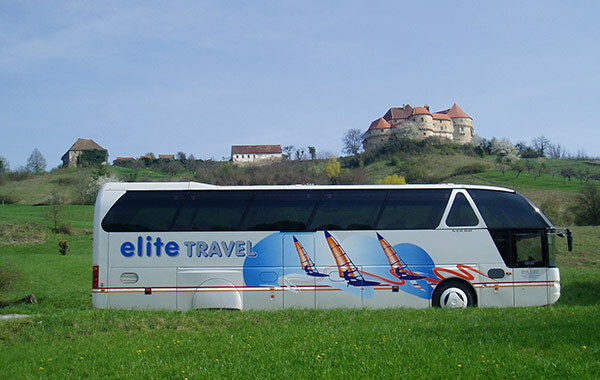 Free coach transfers on winter ski package holidays to Bulgaria, Slovenia and Romania, except Winter Ski Weekends and flights operated by low cost airlines. Low deposit is not valid for flights operated by low cost airlines.